We are a husband and wife team from Pittsburgh, Pennsylvania with a love of synthetics and mid century aesthetics. 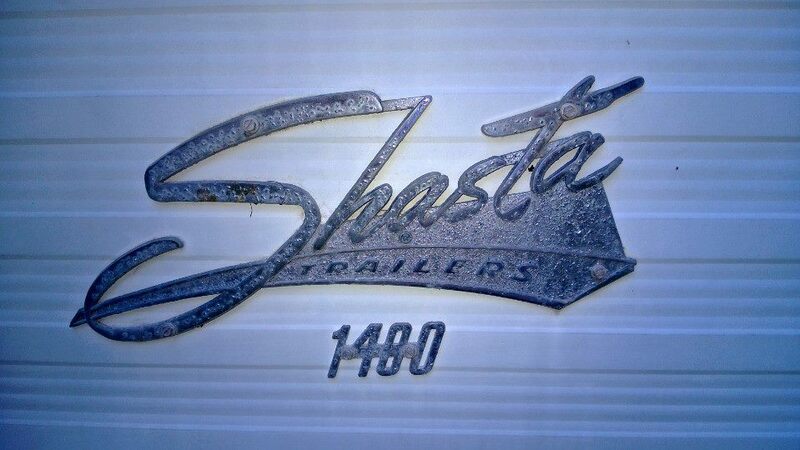 We are happy to be able to share our Shasta restoration with you. We can also be found at 100% Polyverse. Thanks Jim, we have lots of content to add once we’re not so busy working! This is a hard project and we’re in the home stretch! Stay tuned! Great job! I wish that our ’73 had a metal emblem. I’m going to hit the “follow” button so I watch your progress. Hi! Just bought the exact same model as you. Mine is completely gutted, which is kind of exciting. I don’t know much about restoration, but I am going to make this my learning project 🙂 Quick question- Where is the holding tank for water located? Hi Maddy! The holding tank for the water is located behind and below the refrigerator on the street side of the trailer. If the closet is still in your trailer, you would see the water tank by opening the closet door and looking to the right. Good luck with your restoration!